Hand In Hand: Interior Decorating is Hard! I've been trying to decide how I want to decorate our guest bedroom. At first I really wanted something girly. I love purples and pinks and I always wanted to decorate my own room but never really got the chance. Then I got married and you can't exactly have a girly room when you share with a man. I wanted to paint the walls a shade of purple/pink (nothing too bright or overwhelming) but then I thought it would be a bit much to have girly walls and girly bedding. It is a guest bedroom, after all. So, then I started thinking about having pretty walls, but even it out by having shades of blue for the bedding. oh I like the coral with the beige for sure! 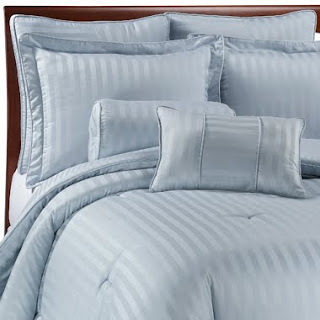 i like the first or second bedding with beige or grey walls! pretty. not a huge fan of coral. :) i'm sure i'll look great when you're done! They're all so good! But blue probably works better in a guest room. maybe even a turquoise hue with brown toned walls? 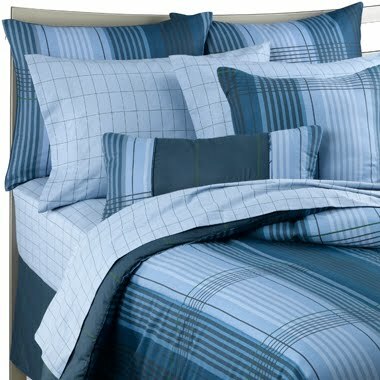 I LOVE the first two bed sets the most!! 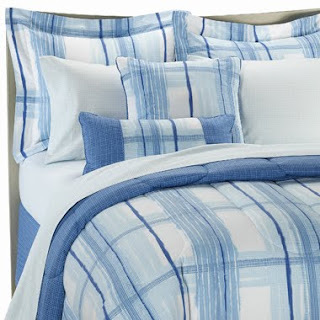 I also did blue and white for our guest bedroom. It has some flowers on the border, but there's also an argyle design that makes it look more preppy, so it's not overly feminine. I love the coral! It's so pretty!